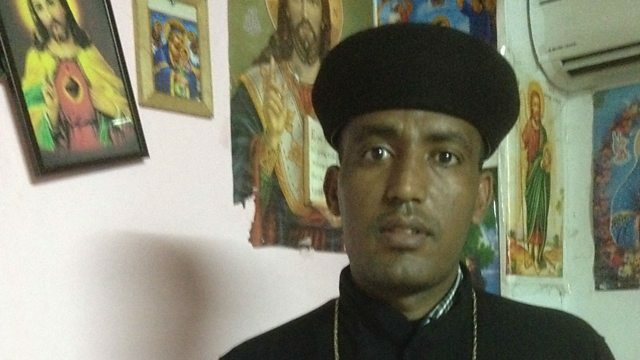 John Laurenson meets the Africans, south east Asians and South Americans who are making up the new Christian communities of Israel. The suburb of Neve Shanon is tucked away in the Israeli capital Tel Aviv, out of sight of the large houses where most of the residents work as domestic staff. The people are a multicultural mix of Africans, south-east Asians and South Americans - and represent the new wave of Christians that have made their home in the heart of the Jewish state. To mark Pope Francis's visit to the Holy Land, John Laurenson travelled to the Israeli capital to find out more about these migrants. These newcomers are living in Neve Shanon and are worshipping in the improvised churches of this dilapidated area. He meets people like Lourdes Evangelista who tearfully tells John that she left the Philippines for Israel 15 years ago and misses her family still. Her small room is adorned with pictures of Jesus on an altar, her faith is a constant for her as she battles her homesickness. John weaves in and out of the backstreets of the area, searching for the place of worship for Tel Aviv’s Eritrean community. He finds it eventually. There are no clues that a service is to be held there - a beautiful, moving Orthodox service in front of luminously bright reproductions of icons. Opinion of these migrants is divided in Israel, and John explores how the Israeli government is dealing with this influx. What John finds is a rich, diverse community worshipping God, far from home, how and wherever they can, as best they can.